English edition of the shortlisted stories from the International section of Eylands' 6th International Short Story Contest. 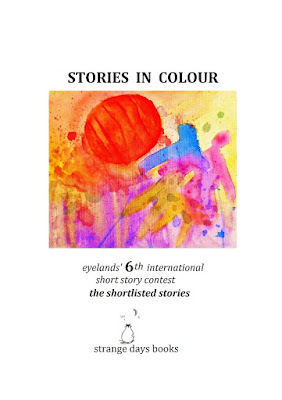 Eleven short stories by writers from England, Ireland, Switzerland and Greece who were highly commended in 2016 at the only international short story contest based in Greece. The theme of the 6th contest was "Colours" and the first prize went to Sarah Isaac for herstory, "Foreign Fruit". The second prize went to Jennifer Tucker for "The many shades of darkness", while the third prize went to Lynda Haycock-Watkins for ‘’Feeling, tasting and smelling colours’’. For the first time this year, all awarded writers came from the United Kingdom. A Greek translation of the three winning entries is also included in the Greek edition of "Stories in Colour". NOW AVAILABLE ALSO ON AMAZON.COM!! Stories in colour - Soon to be released!